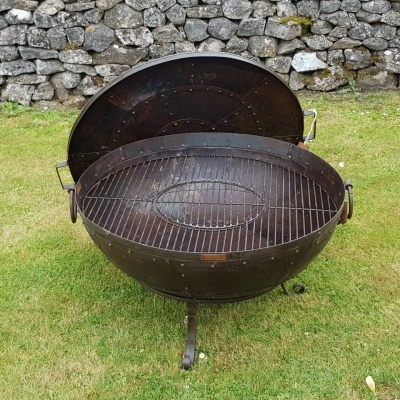 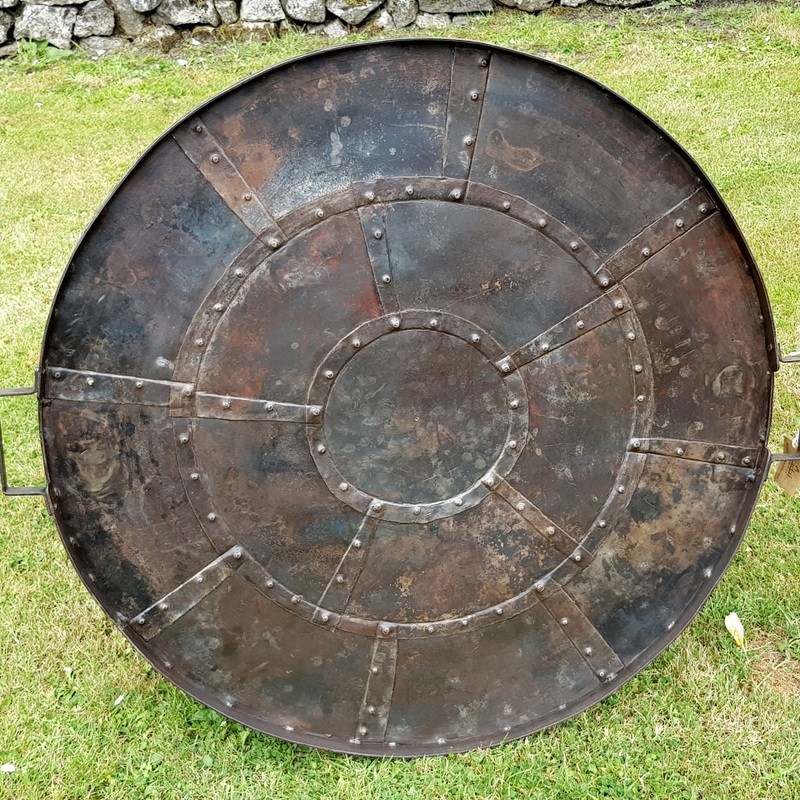 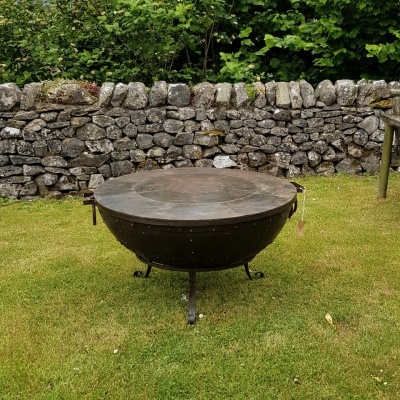 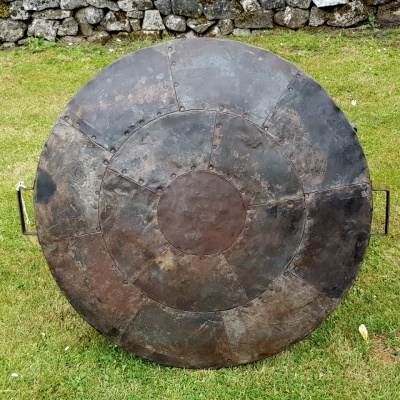 We believe that the Kadai Shield either the Kadai Recycled Metal Cover OR the Kadai Steel Cover is the best way to keep the inside of your kadai dry and ready for use at any time. 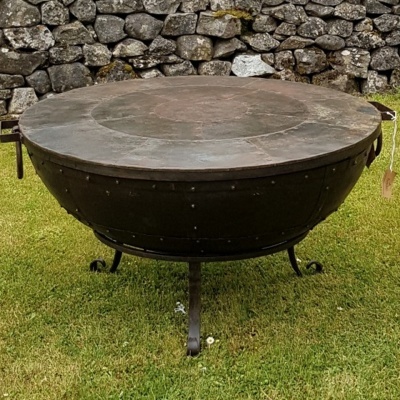 With recessed edges and Squared Handles to fit over the Kadai drop handles it is a perfect fit, the kadai shield is gently curved so that rain rolls off, it has an overlapping edge about 2cm deep so that it fits snug over your kadai. 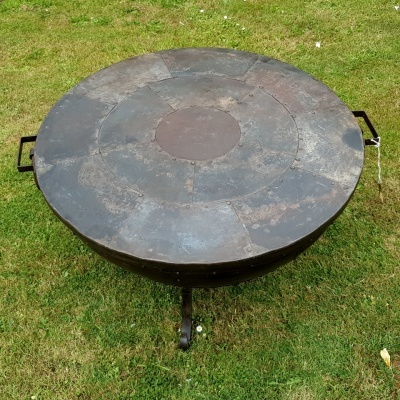 The Kadai Shield can be placed over your kadai while still warm, but not too hot, which means that overnight rain doesn't soak your ashes and sand in the base.